Smart building solutions by Johnson Controls India deliver integrated lighting, improved comfort and air quality, as well as greater physical security to businesses and occupants. This improves energy efficiency and promotes sustainability with reduced environmental impact over a building’s lifecycle, says Shrikant Bapat, Country General Manager and Managing Director of Johnson Controls India, in conversation with Elets News Network (ENN). Give us an overview of Johnson Controls. Johnson Controls is a global diversified technology and multi industrial leader serving a wide range of customers in more than 150 countries. Our 1.2 lakh employees create intelligent buildings, efficient energy solutions, integrated infrastructure and next generation transportation systems that work seamlessly together to deliver on the promise of Smart Cities and communities. Our commitment to sustainability dates back to our roots in 1885, with the invention of the first electric room thermostat. We are committed to creating greater value for all of our stakeholders through strategic focus on our buildings and energy growth platforms. In India, Johnson Controls actively participates in industry associations such as the Confederation of Indian Industry (CII), the Indian Society of Heating, Refrigerating and Air Conditioning Engineers (ISHRAE), the American Society of Heating, Refrigerating and Air-Conditioning Engineers (ASHRAE) and the (Fire and Security Association of India (FSAI). What projects have you undertaken in India? Our products and technologies are installed in important landmarks and facilities across the country, including, industrial, commercial, Office, Retail, airports, metros, data centres, Smart City projects, hospitality and healthcare. Johnson Controls has the complete range of products and solutions catering to the above segments, making us the preferred choice for our customers. What kind of smart transportation systems have been introduced by Johnson in India? Johnson Controls Intelligent Transportation System (ITS) is the merger of two highly successful systems SCATS (Sydney Coordinated Adaptive Traffic System) and Meridian Intelligent Transportation software platform. SCATS offers real-time signal control and responses at intersections to make traffic safer and more efficient. SCATS has been continually developed for over 40 years and sold to 27 countries, delivering real and measurable reductions in road travel times and delays. SCATS combined with Meridian delivers a fully integrated ITS and addresses the needs of most end-users for ITS enhancement functions. 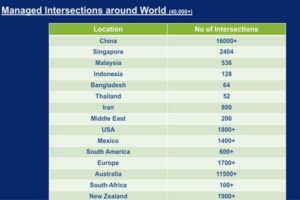 SCATS® urban traffic management software is used in 27 countries worldwide and continues to deliver consistent and measurable results. SCATS and TRAFF® are licensed to operate in more than 37,000 intersections worldwide, including Australia, Bangladesh, Brazil, Brunei, Chile, China, Ecuador, Fiji, Indonesia, India, Iran, Ireland, Jordan, Laos, Malaysia, Mexico, New Zealand, Pakistan, Philippines, Poland, Qatar, Saudi Arabia, Singapore, South Africa, Thailand, USA and Vietnam. Meridian is an advanced software system for monitoring and controlling complex systems and devices specialising in management of motorways and tunnels. Operators use Meridian through a rich graphical Interface (GUI) using Menu- and Mouse- driven Windows applications. This GUI, known as the Meridian Workbench, relays real-time status updates of devices through video, images and data-tables as appropriate. By using simple point-and-click, devices can be interrogated further or directly controlled. Our technology helps to reduce fuel emissions, commuter travel times and offers an increased level of control over the traffic system for operators. Designed by traffic engineers, the system has a user-friendly interface, and is easy to install and manage. What energy efficient solutions have been introduced by you recently? At Johnson Controls, we create efficient, sustainable environments for different verticals such as hospitals and healthcare, Smart Cities, commercial buildings, colleges and universities, subways and metros, data centres and industrial warehouses. Our integrated systems deliver smarter, connected buildings that provide better environments, energy savings, operational savings and sustainable solutions. We have the widest variety of water-and air-cooled industrial and commercial chillers in the market. From reducing a facility’s carbon footprint, to delivering a healthier indoor environment and cutting energy costs, we create smaller, more energy efficient chillers tailored to fit almost any comfort or process cooling application – even heating. We have also worked with various government agencies to install and configure LED street lights, smart sensors, intelligent electrical meters and wireless mesh gateway network, and backend street light management system. In essence, we develop systems that are capable of supporting more smart sensors for other innovative applications. Metasys® 10.0, Johnson Controls automation system that comprises hardware and software components, works cohesively to enhance occupant comfort, safety, security, and productivity. It provides facility personnel with smarter building automation, faster responses to critical alarms and new integrations with fire detection, and security and lighting systems – all with visibility from a single common interface. Metasys has won numerous industry accolades. It was named 2017 Readers’ Choice Building Automation System by Industry publication Facility Executive’s Magazine, as well as ACREX India 2017 Award of Excellence in Innovation in Building Automation. The BCPro™ building automation system features simple but powerful tools for easy set-up and a responsive user interface for straightforward building management. With comprehensive templates of commonly HVAC, plumbing, and lighting systems, data is organised into easy-to-read graphic displays, summaries and reports. magnet motor and the latest variable speed drive (VSD) technology using a patented compressor dampening structure design. The innovative design in the rotor profile enhances reliable operation, and its lower power consumption and premium chiller efficiency are a boost to green buildings. The YORK® YGWH, another premium-efficiency and environment-friendly screw chiller is equipped with optimized motor and flow structure design to ensure a high compressor efficiency. 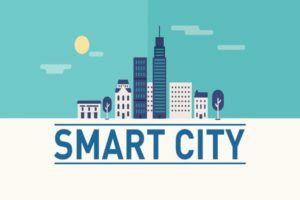 We have been following the learning, the Internet of Things, and cybersecurity are the top technology trends expected to impact smart city implementations over the next five years. Johnson Controls is in a strong position to help our customers meet their enterprise goals. Our system integration expertise, the products we offer and the services we deliver help customers improve energy efficiency, reduce pollution, waste less, and recycle more. From energy-efficient heating to distributed storage energy solution, our range of technology and insights help reduce energy use, greenhouse gas emissions, and improve the lives of people and the Built upon decades of industry-leading chiller expertise, the YORK® YZ Chiller is the first magnetic bearing centrifugal chiller to utilise reliable, robust, and low-maintenance induction motors. It delivers up to 35 percent annual energy savings versus traditional fixed-speed oil bearing chillers. Data such as set-points, readouts, alerts, trending reports can be securely connected to analytics platform for remote monitoring and predictive diagnostics. It also uses low Global Warming Potential refrigerant. The YORK® YVWH, a premium-efficiency and environment-friendly screw chiller driven by a permanent Government’s Smart Cities programme in India with great interest. According to our 2017 Smart City survey that queried more than 150 city leaders in 12 countries, economic development, environmental issues and public safety are key drivers to smart city development. Additionally, LED Street lighting, city data platforms, and smart public safety top the list as the most implemented or piloted smart city solutions globally. Cities are increasingly looking to implement solutions that will drive growth, while providing safe, sustainable and resilient environments for their citizens. Going forward, data analytics, machine environment. For instance, our smart building solutions deliver integrated lighting, improved comfort and air quality, as well as greater physical security to businesses and occupants. This improves energy efficiency and promotes sustainability with reduced environmental impact over a building’s lifecycle. Our expert teams provide counsel on smart solutions to optimise customers’ facilities while mitigating risks to ensure their systems are maintained and sustainable.